Looking for the best way to train your dog? With this Reliable Bite Developer you'll achieve the best results in a very short time! 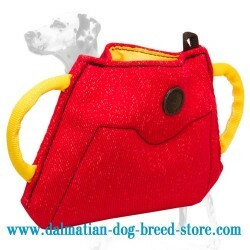 Convenient construction, soft material and strong stitching ensure long service life of the item and absolute safeness for your dog. Regular training with this bite builder will develop a pup's strong & full bite grip for future Schutzhund and IPO training. Due to the internal round handle you can grab the item firmly and when the dog grabs it with his/her teeth, you won't allow him/her to get "the prey" too easily. The product is made of extra-strong, tear-proof material, used for production of bite suits. It withstands regular biting and can serve for very long. Wherein, the surface is soft enough for a pup's teeth and gums, so when biting it, the dog won't hurt his/her oral cavity. This Bite Builder is equipped with an internal hard plastic handle, that is easy to grab, and two outside ones for more convenience. 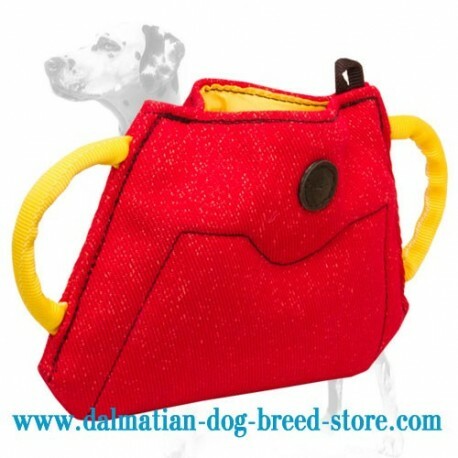 Besides, there is a small nylon loop which can be used for leash attachment. 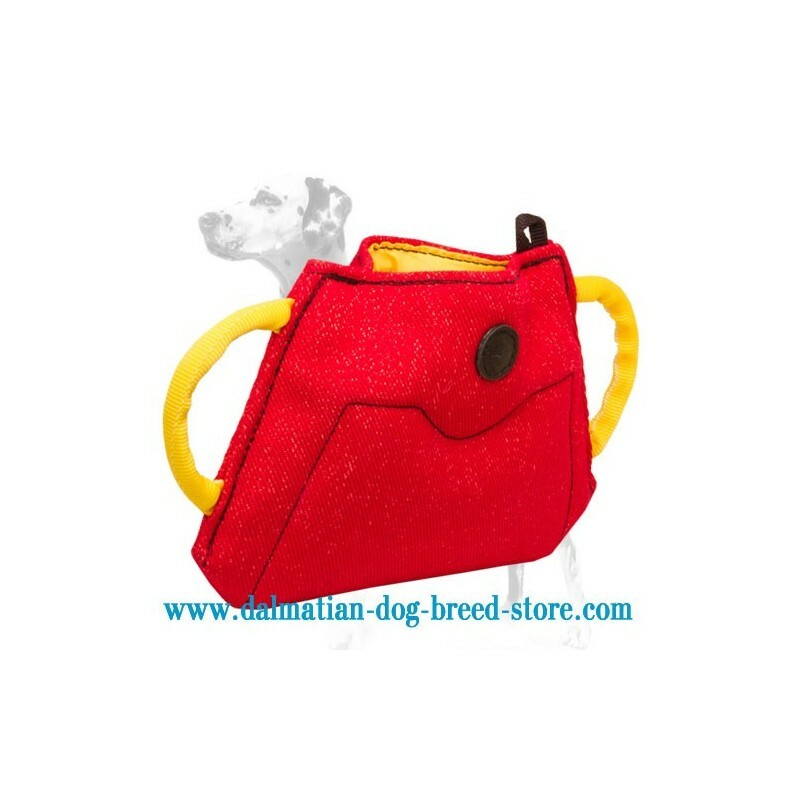 Convenient design, durable material and safeness for the dog make this Bite Builder Number One item for dog trainers to work with.